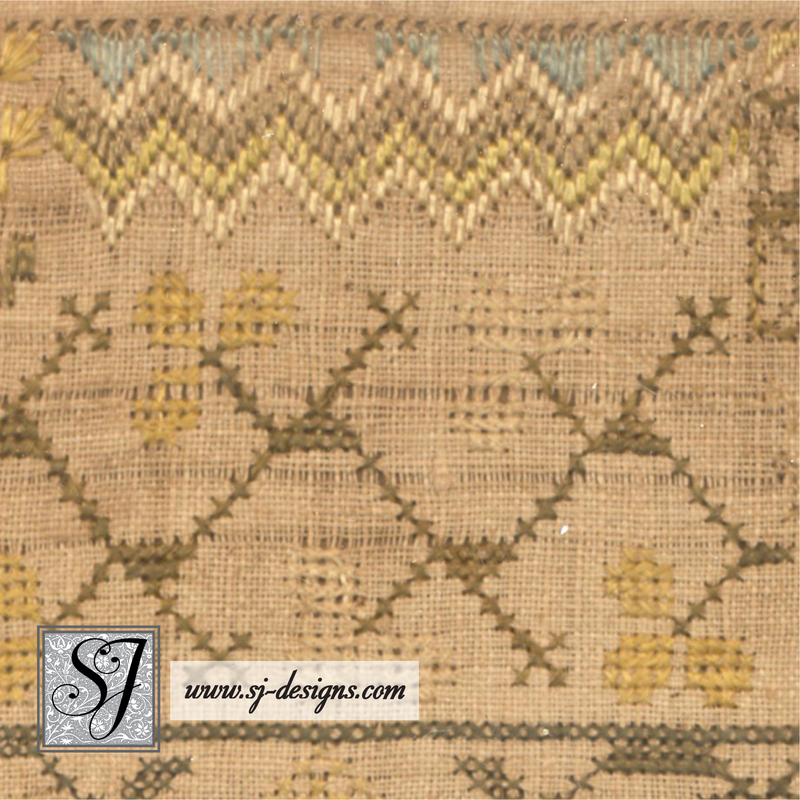 Small Spanish or Mexican samplers are unusual; typically they are quite large and elaborate, but this little gem features the same variety of stitches, textures and borders as many larger examples. 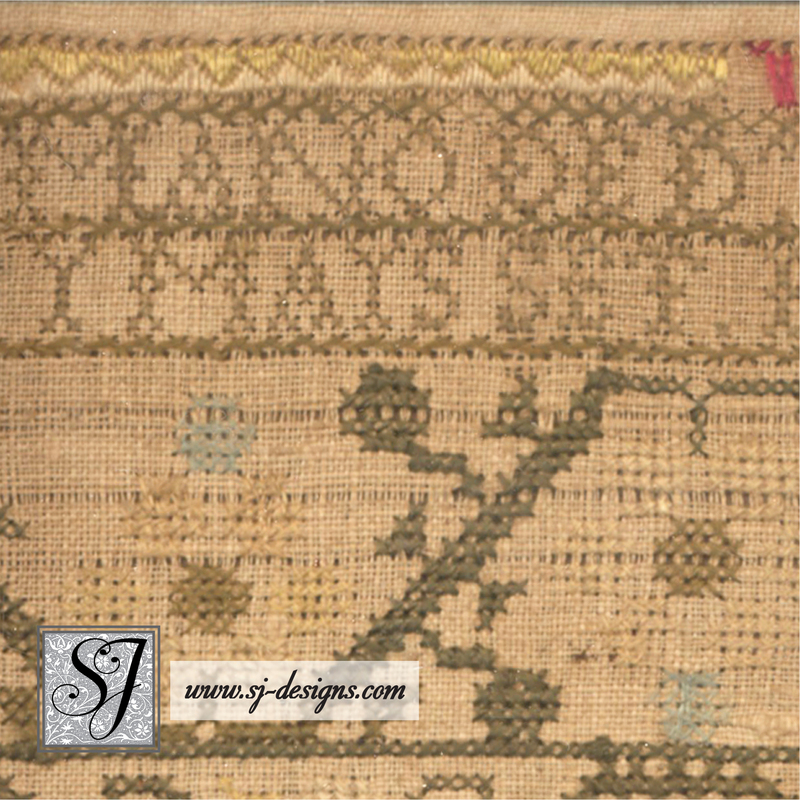 The inscription at the upper right corner reads (in Spanish) “The work of (or by the hand of) Pepita Sartor in the year 1822.” The linen has very fine, slightly irregular threads in a neutral tan color and all the stitching is worked in a filament silk thread. 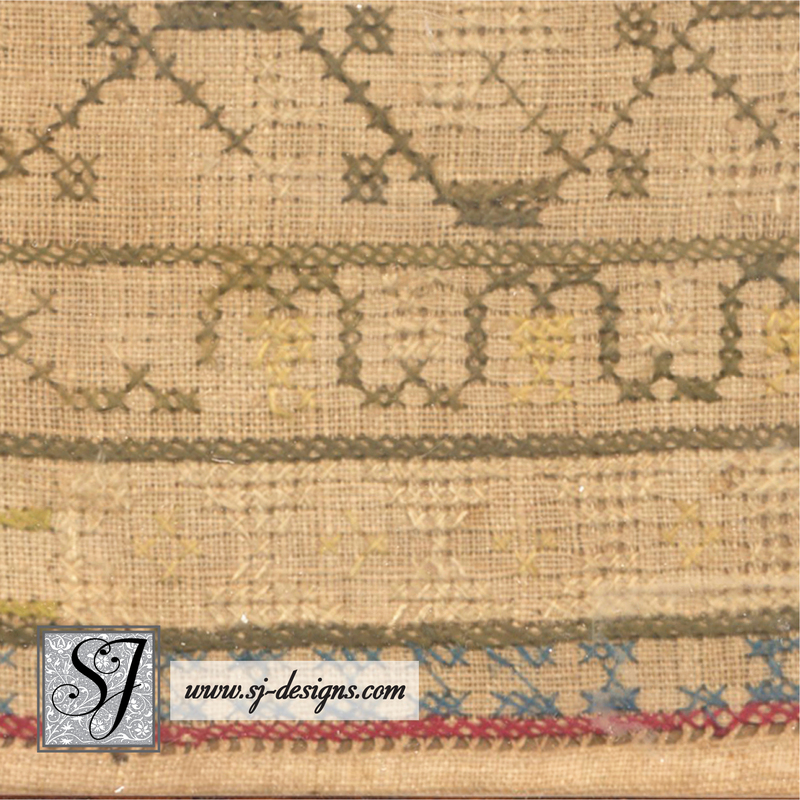 Stitch size is an unusual characteristic of these samplers– typically, counted thread samplers feature cross stitches worked over 1 or 4 (2×2 threads) intersections– but not here! 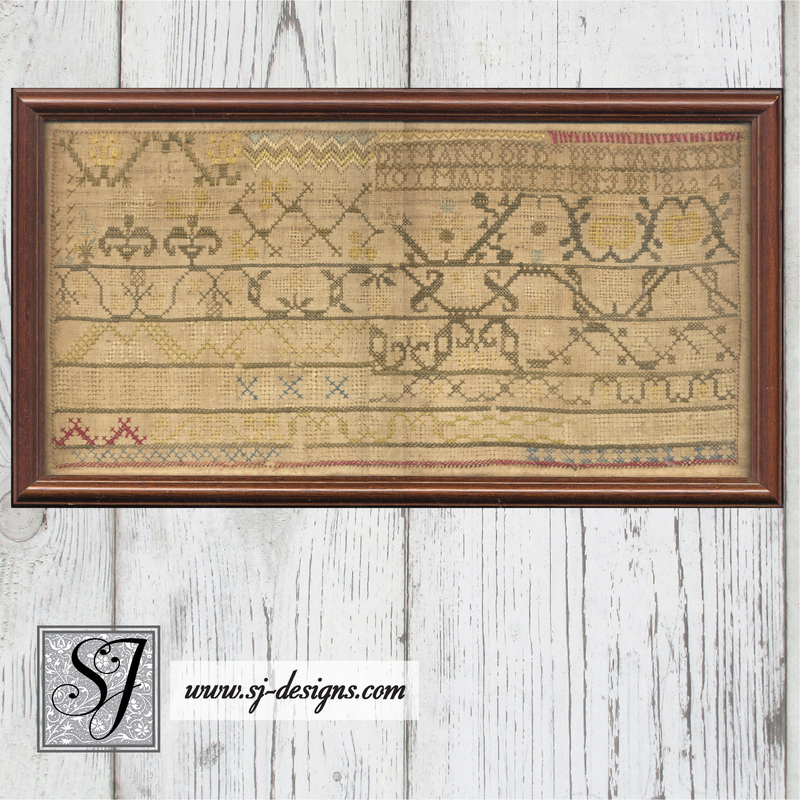 Cross stitches are worked as 2×2, 3×3 and 4×4, producing a variety of sizes, sometimes within the same border or motif! 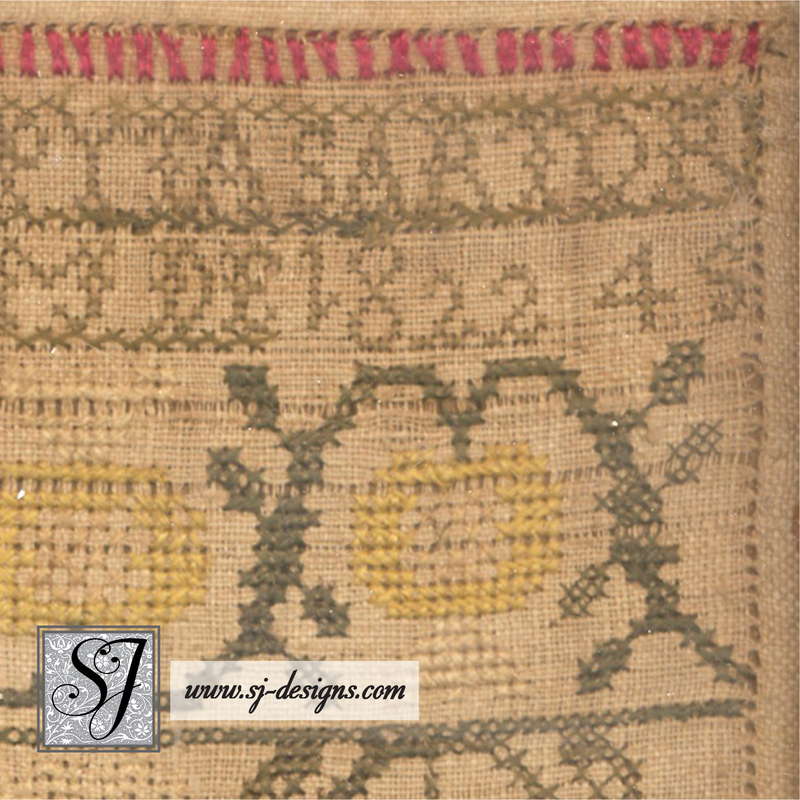 The thread is a filament silk and different numbers of plies are used to produce various textures– stitches include cross, satin, eyelets, long-legged cross and Bargello or flame stitch (there’s also a hemstitch border around the outer edge). 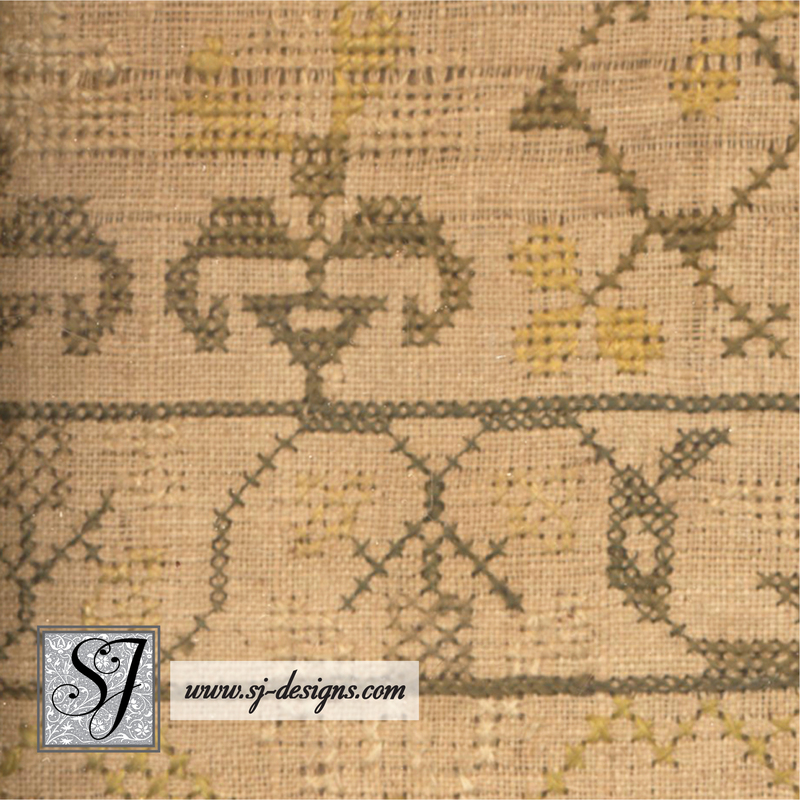 Many of the cross stitches are worked with fairly tight tension which creates a pulled or lacy effect. 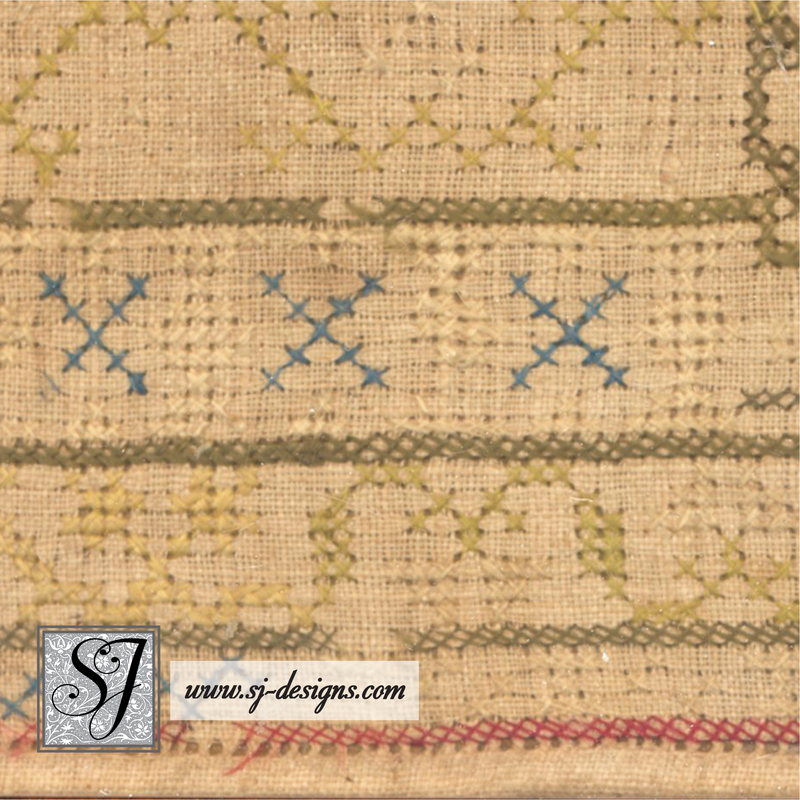 The condition is very good with very little stitch loss (mostly in the bright blue silk stitches). The lightest shade of silk has faded to become very close to the fabric color, which may make it appear to have more missing stitches than it actually does.